Whirlpool's earlier Duet (Sport) WFW8500S Washer has been discontinued and has been replaced with a line of Duet front load washers. While several Whirlpool front load washers of late (2016) tend to get poor ratings, there's one that stands out from the pack, because it has consistently met consumer expectations. The Whirlpool Duet High-Efficiency Front Load Washer WFW72HEDW is a very popular model which garners terrific consumer ratings. With a large capacity of 4.2 cu. ft., it's a family washer with some practical features, an advanced cleaning technology to better clean your laundry and a good array of cycles. We do love the price too, so this model offers good value and performance for the price. Why pay more when you can get all the washer cycles you need. 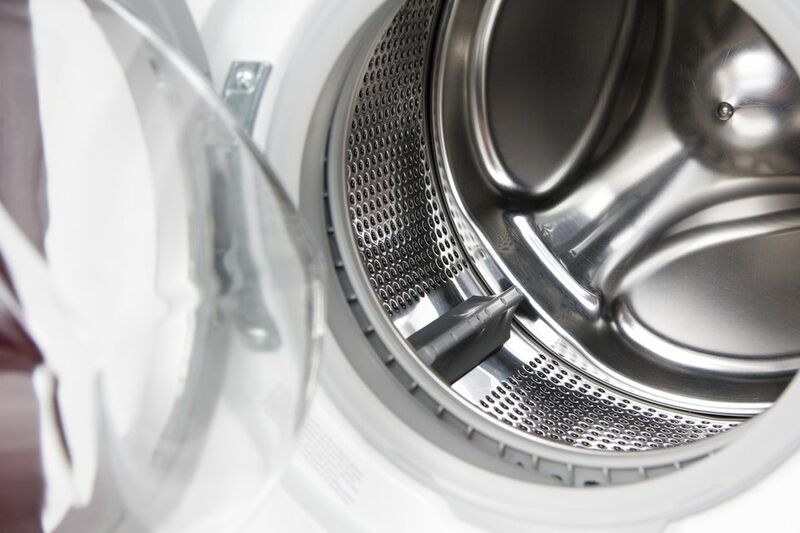 With the Adaptive Wash Technology, this washing machine combines helpful sensors that can read your load and adjust the operation for best fabric care. That helps to remove the guesswork when it comes to balancing a clean wash against sufficient fabric features to better care for your clothes. Precision dispense ensures your load is getting the recommended amount of detergent at just the right time so that it can mix properly with the water for the best cleaning power. And with 14 (adaptive) wash settings, you'll have plenty of choices to do all your washing. There's a delicate cycle as well as heavy duty, plus a quick wash for those times when the wash load is lightly soiled, and you want to save some time overall too. And really dirty laundry? This washer has you covered. We love the stainless steel wash basket that delivers a gentle wash with no snags or pulled. And there's an Eco Sanitize cycle with Oxi to eliminate 99.9% of common household bacteria. Combine that with an Energy Star qualification and CEE Tier Rating of II, and this washing machine can save you money in energy, and your laundry will still get a high-performance wash. Even the Energy guide estimated (energy) use is awesome. Keep in mind that these estimates are calculated under average use washing conditions, so in actuality, washer energy use could be higher than these estimates, or lower. The delay wash is a good way to save energy too, by setting it to operate during the best daytime period to save on electricity costs (if you have the time of use rates). Other cool features include three Soil levels, four Spin speeds (Fast, Medium, Off, Slow) and four Temperature selections. Everything you need to wash your laundry, plus a few sensors to remove the fabric care guesswork. A front-loading design makes it convenient while delivering a high-efficiency washing style. HE detergent is recommended for this washing machine. With a width of 27", it's not stackable, but you can buy the handy optional storage pedestal. This washer also has advanced vibration control—keeping noise at bay and protecting your washer too. Before buying this washer, review the installation guide to ensure you're ready to install when it arrives. And, a quick gander at the product manual will confirm if it suits your overall laundry needs. Also, check the warranty information if you are comparison shopping. While you could pick a different Whirlpool washer model, this particular one gets terrific consumer ratings and is full-featured, so it has everything you need to wash a variety of fabrics and your whole laundry, for less than $1000. Do High Efficiency Washers Really Work?